Garage tool organization ideas is sponsored by The Home Depot. I have been compensated for my time and provided with product. All ideas and opinions are my own. This post contains some affiliate links for your convenience. Click here to read my full disclosure policy. 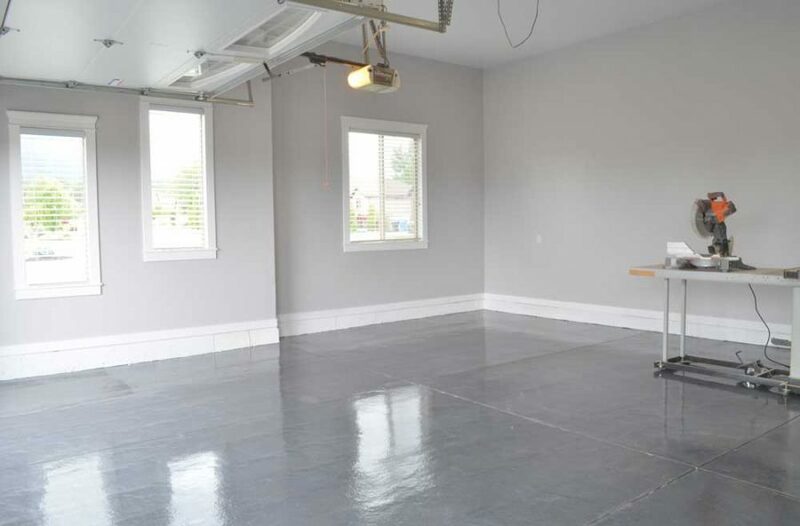 Last year I cleaned out most of the garage, painted the walls and coated the garage floor with Rocksolid metallic floor finish. LOVE how it turned out!!! 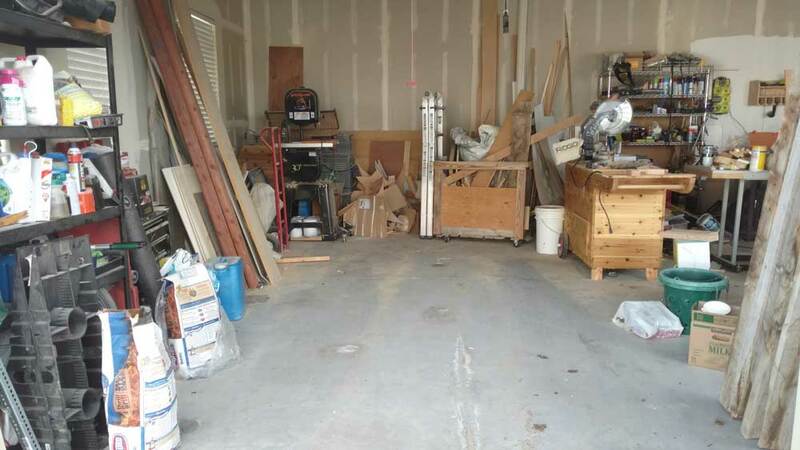 I have been planning out a big tool organization cabinet(s), but until I actually get the project done, I want some easy ways to organize my garage tools. 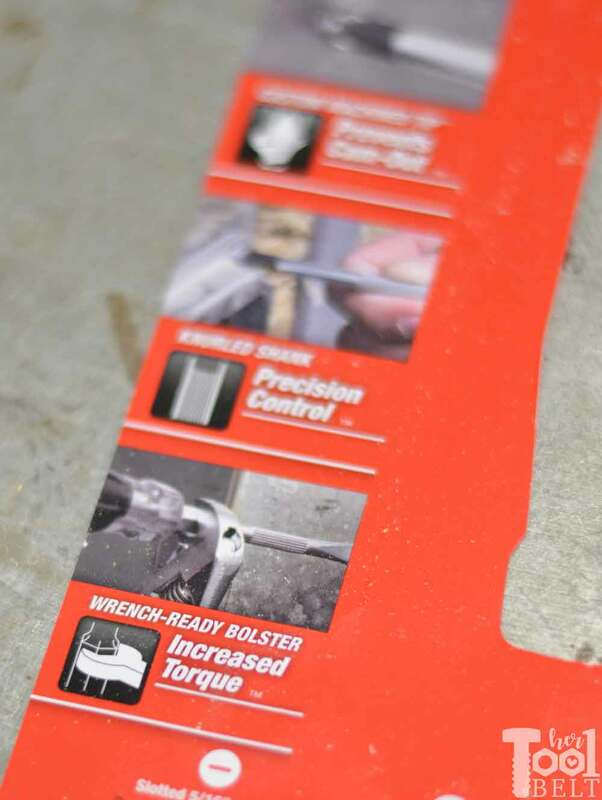 Here are a couple of quick and easy garage tool organization ideas that can be implemented in 30 minutes. 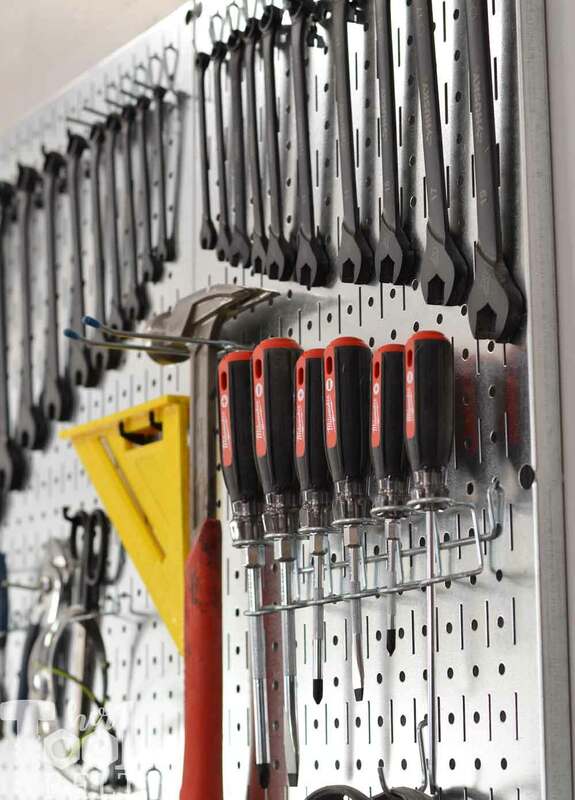 A peg board is a great way to hang up your tools and see what you have. I love how Jen Woodhouse’s pegboard wall turned out. Then I saw these metal pegboards, Galvanized Steel Pegboard, that Lazy Guy DIY put in his shop, and decided to buy a few of them online on homedepot.com. I have an idea to use these in my big garage tool organization cabinets, but until I get that done, I screwed them up on the wall. One thing I love about the metal pegboards is that they have the standoff built in, so you can take them out of the box and mount them directly on the wall. 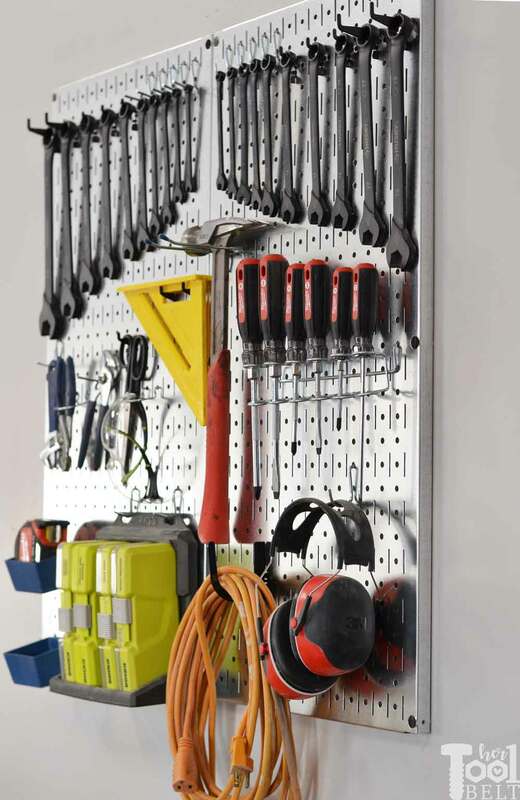 You can use standard pegboard accessories, or their heavy duty accessories too. 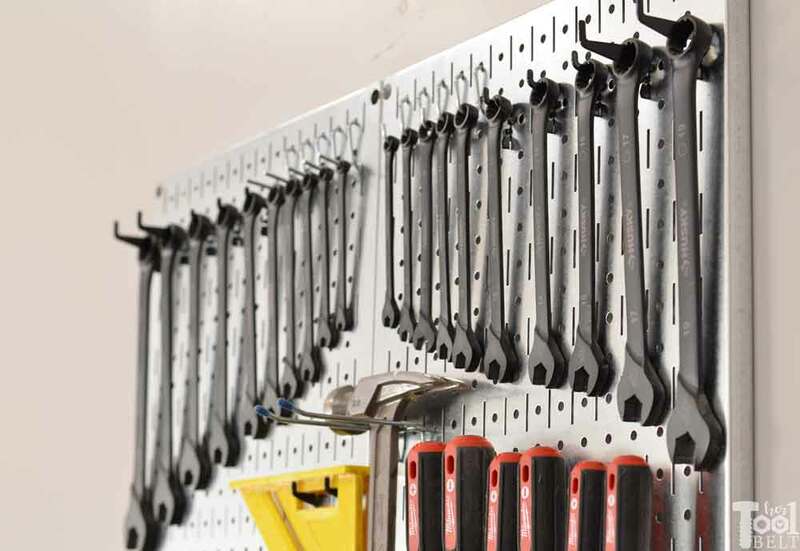 My favorite way to organize standard wrenches and metric wrenches is on the pegboard. I like to be able to see them all at once, no rifling through the drawer for the 9/16″ and grabbing every size but the 9/16″ :-). These Husky wrench sets are such a good value and great quality. Wrenches are definitely a tool that every homeowner needs. Plus they are slightly longer in design, so easier for tight spaces and less likely to need a cheater bar (maybe that’s just a farm thing). 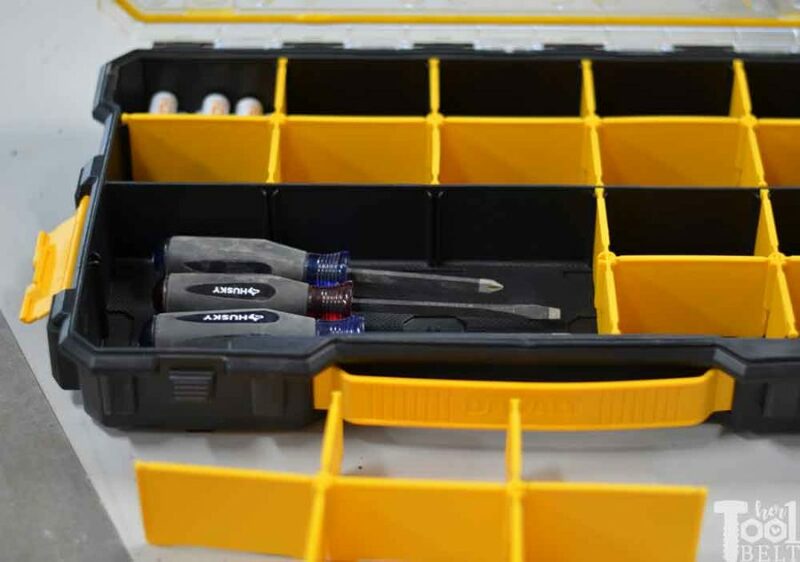 Another tool set that I like to organize out in plain site are the screwdrivers. Displaying the screwdrivers openly makes it easy to see which one you need, and if you’re missing any. I also like to keep my hammer, safety glasses and tape measure nice and handy. I got a kick out of the packaging for these screwdrivers. You know, screwdrivers are only used for what they are designed for like 50% of the time. They are often a lever, a punch, scraper, digger, etc. Milwaukee has put a few extra features on these screwdrivers like a knurled shaft and flats for the wrench to give you a little extra torque. Very cool Milwaukee. Another useful product for organizing garage tools and supplies is a handy multi-compartment organizer. Often times I end up with partial packages of screws and things left over after projects. All of those packages take up so much space. It’s nice to put them in one place that I can actually find later :-). 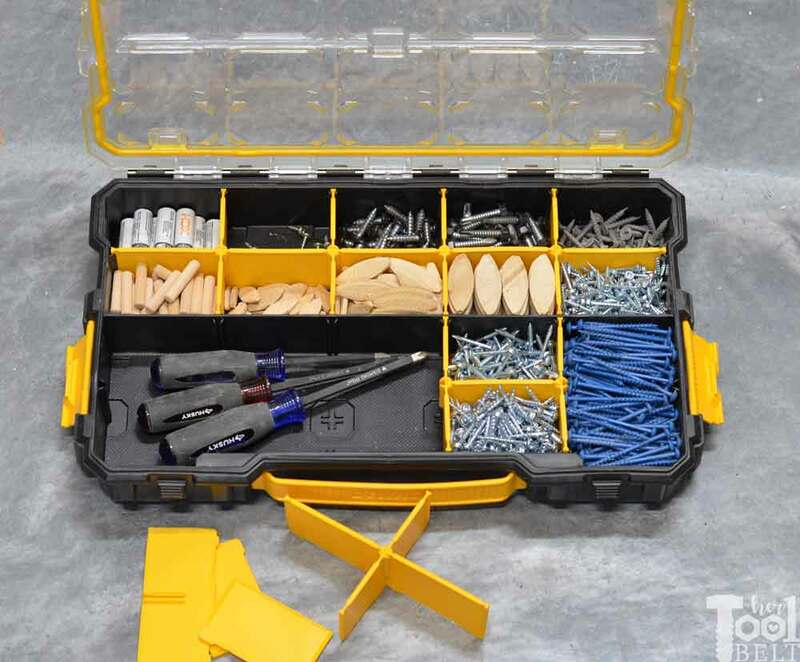 One really nice feature about this DeWALT 20 compartment organizer is that you can remove the partitions if you want to store longer/larger items. It can also be stacked on other DeWALT organizers. I was able to throw away 13 bulky packages and fit the small parts, screws, biscuits, dowels, etc in one place. Sweet! 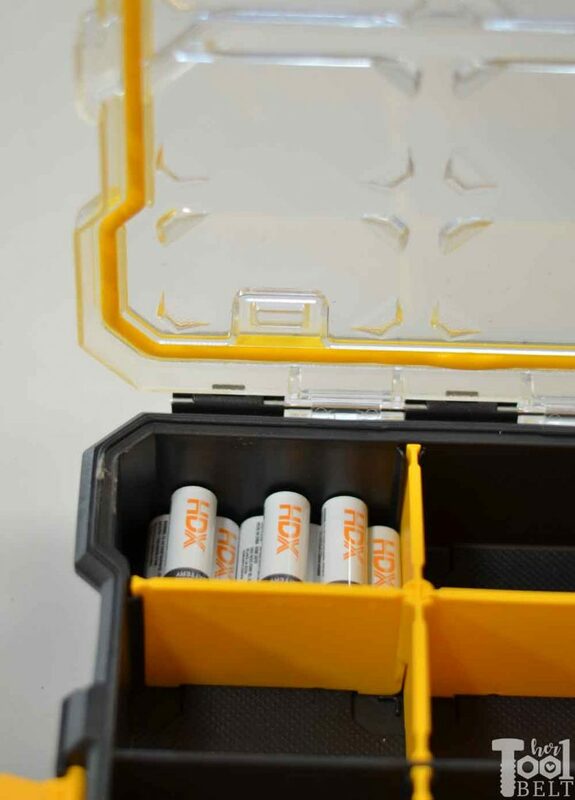 These compartment organizers would also be great in the house to store and organize batteries, the compartments are the perfect size! To organize my power drills and chargers, I still love my charging station. 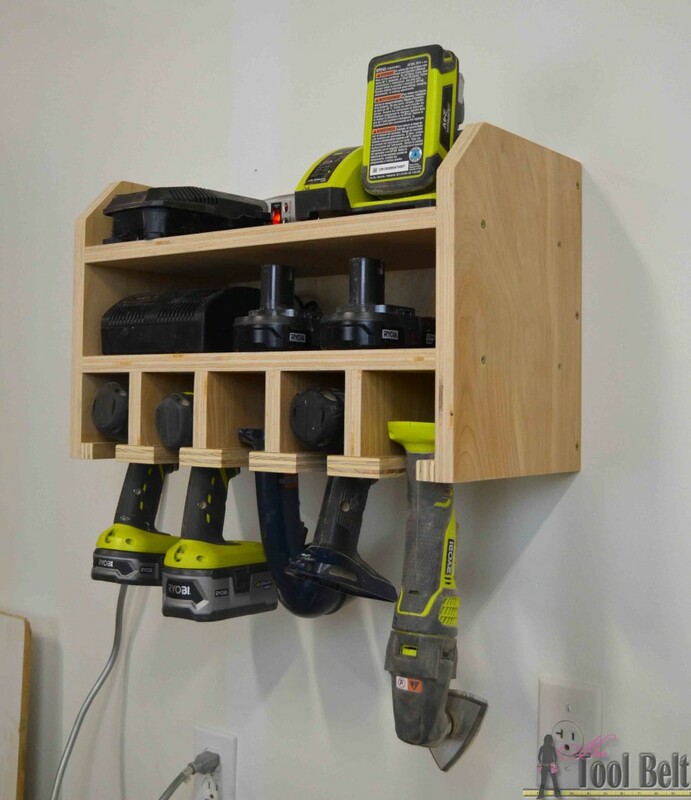 It makes a great place to store cordless power tools and keep the batteries charged too. This might take a little longer than 30 minutes to make, but not more than a few hours. Tell me what your favorite products or methods to organize your garage tools are? 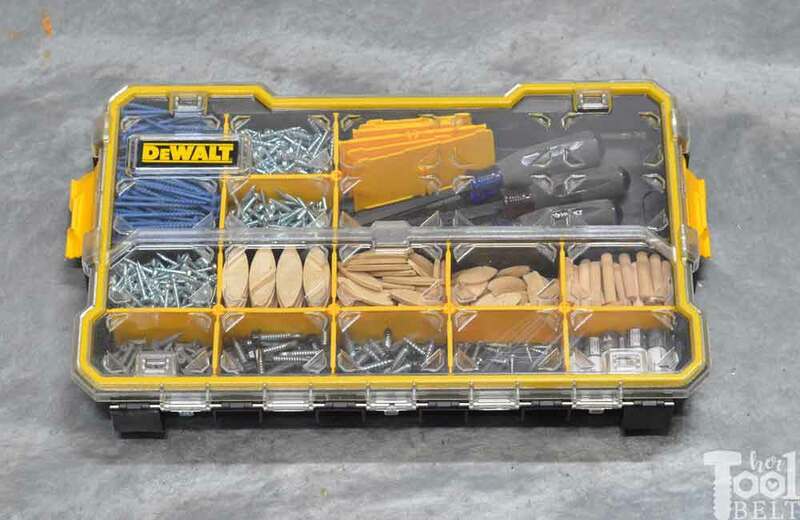 *Note: the wrench sets, screwdrivers, batteries and compartment organizer are part of the THDprospective program.